Glad All Over reinforces why the Wallflowers always had a lasting advantage over their '90s rock cohorts. Just two or three years ago the Wallflowers seemed doomed as a creative endeavor. The band had been on a creative hiatus since parting with Interscope in 2006 and its lead singer, Jakob Dylan, had leaped into an acoustic solo career in the vein of his endlessly surprising and talented father, Bob Dylan. In 2009, the Wallflowers released the death knell of many bands: a greatest hits collection. Collected: 1996-2005 was perhaps the least imaginatively curated collection ever, literally taking the first several tracks in order from each Wallflowers album starting with Bringing Down the Horse and dumping them onto Collected in chronological order. For a while it seemed inevitable that the band was just a few years away from relegation to '90s remembrance tours with other reformed acts like Third Eye Blind and Toad the Wet Sprocket. But in 2011, Dylan dropped a bomb on Rolling Stone: the Wallflowers were working on a new album. 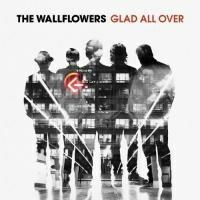 The result is Glad All Over, a solid roots-rock record that reinforces why the Wallflowers always had a lasting advantage over their '90s rock cohort. Dylan and company hit it big in 1996 with Bringing Down The Horse, a gem of '90s alt-rock, complete with guest vocals from Counting Crows front man Adam Duritz, that went platinum four times over. The band was never able to replicate that commercial success, but they did something more important. They never replicated that exact sound. Each ensuing Wallflowers album had a slightly different feel. Breach was bare and morose. Red Letter Days was heavy with keyboards and poetry. Rebel, Sweetheart brought a harder edge. Then, when Dylan couldn't fit his new desired sound into the Wallflowers oeuvre, he went solo and released two country/folk albums. Predictably, Glad All Over doesn't sound like any of those other albums. It takes strains of the Wallflowers' wheelhouse alt-rock and marries them to rocksteady and a grab bag of other ideas. The influence of the '70s is apparent just by looking at the track list. The Clash guitarist Mick Jones appears on two tracks, "Misfits and Lovers" and lead single "Reboot The Mission", both of which have an unsurprising Clash-style backbeat. The bouncing near-boogie woogie and guitar solos of "Have Mercy on Him Now" recall musical eras long gone, as does the sweltering swamp-stomp morality tale "The Devil's Waltz". Glad All Over doesn't put its best foot forward with "Hospital for Sinners", and "Reboot The Mission" is panderingly self-referential, literally welcoming the band's new drummer Jack Irons and paying lyrical homage to Mick Jones's former band mate "the mighty Joe Strummer". The rest of the album keeps the quality bar high, and the strongest stretch of songs comes on the album's second half, beginning with "Love Is A Country" and continuing through "Constellation Blues", the lyrics of which touch the edges of Dylan's father's unspeakable lyrical power. "Love Is A Country" is a deeply moving song about empathy and honest emotion in a world seemingly fraught with endless danger, using the sonic poles of funeral piano chords and life-affirming cymbal crashes while Dylan sings with a conviction that doesn't sound like a band two decades old: "I'm watching the clouds overwhelming the evening sun / It's just after lightning and before thunder comes / When nothing really happens and suddenly then it does / Love is a country better served with someone". It's a song that will be overlooked by many, but it shouldn't be. It's the emotional core of the album, which from the pleas for divine guidance on "First One in the Car" to the self-affirmations of "One Set of Wings", hints at a band that has discovered, through the trials of being a long-time touring rock group, that love, patience and empathy are the only ways to survive in such a brutal career pursuit. As Dylan puts it, that "love is a country that won't be overcome". Or to put it a different way: for the first time in their long career, the Wallflowers sound like a band that might actually be glad all over.